Insomnia is a problem we all have from time to time. Gone are the days of having to take dangerous sleeping pills only to feel hung over the next morning. Moreover consider the damage being done to your brain by these type of medications along with a high risk of addiction and abuse. Luckily getting an amazing nights rest can be achieved by using cannabis. 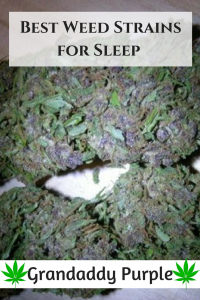 While most indicas will provide relief with sleeping problems, knowing the best cannabis strains for insomnia will ensure you fall asleep and stay asleep! With that being said, understand that it is important to consult with a physician to rule out any underlying medical conditions as sometimes insomnia may be a symptom. 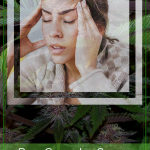 With that being said in the paragraphs below you will learn about some of the best marijuana strains for treating sleep problems. Astonishingly potent Big Bud is an indica and easily one of the best marijuana strains for insomnia. I have found that this will not only knock me out but keep me sleeping for a long time. 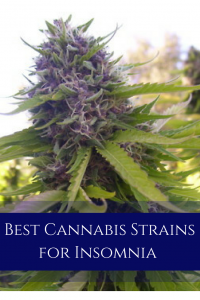 This is a tried and true strain if you are looking for the best marijuana strains for insomnia. It comes on strong with an amazing citrus and berry taste. Partakers soon find themselves overcome with peace and relaxation with sleep soon to follow. All things considered God’s Gift is a godsend! Although be warned you may end up with the giggles. Medical marijuana users will attest to Afghan kush being one of the best cannabis strains for insomnia. 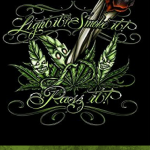 This hard hitting strain is initially felt behind the eyes and then progresses to envelop your body into blissful rest. Not only is blackberry kush one of the best medical marijuana strains for sleep but also one of the best tasting. Weed enthusiasts will appreciate its berry sweet taste with a hint of earthiness. 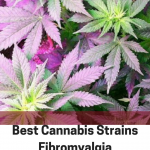 Additionally this strain is phenomenal for pain which often accompanies or causes sleep problems. Many people who suffer with insomnia have reported great success by using Tahoe OG. This hybrid is more heavy hitting than your typical hybrid. However it aids in muscle relaxation and a superb body buzz that carries you off to dream land. Yes this strain has a larger than life reputation for a reason. Not only is it easy to find but its psychoactive effects are quite intense. For this reason couch like is likely which is a good thing and why this strain is considered the best cannabis strain for sleep by many. An old school strain with a huge following that has stood the test of time. This strain is still providing cannabis consumers much needed rest and relaxation. 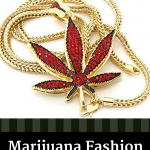 Along with being one of the best pot strains for sleep it also great for nausea. 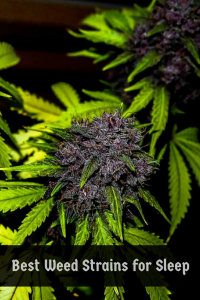 Furthermore this strain can produce some awesome yields provided you can legally grow where you live. 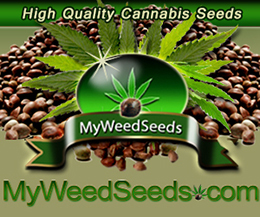 You can learn more about growing cannabis here. 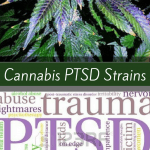 I will have to try some of these strains as insomnia has been a real problem thanks for this! You are very welcome! Insomnia is not fun and thankfully cannabis works miracles. These strains are so dope for helping me to sleep thank you! Hey Garth, Glad we could help.